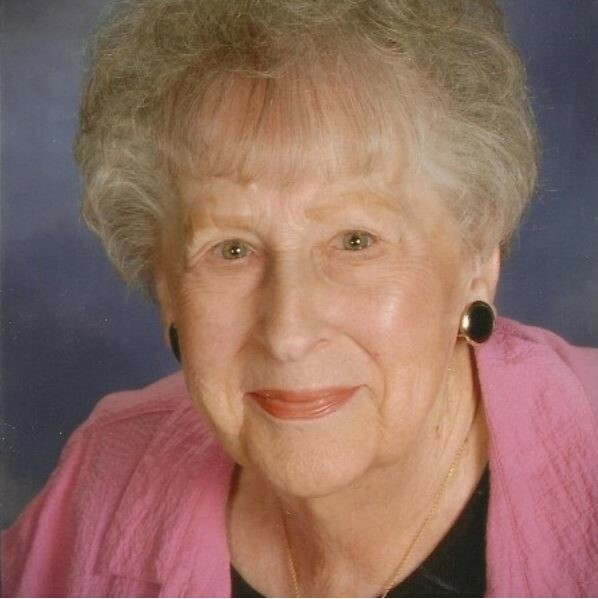 Obituary for Doris May (Johnston) Nardin | Williamson Funeral Homes, Ltd.
Doris May Nardin, 94, of Staunton, Illinois, passed away peacefully on Tuesday, March 26, 2019. Born November 24, 1924 in Chicago, Illinois, she was the daughter of Frank & Louise (Le Duc) Johnston. She married Dante John Nardin on June 1, 1946 & he passed away on July 1, 2011. Doris was a homemaker, loving mother, & caring grandmother. She was a woman of deep faith and devoted to the Church. Doris loved cooking - especially baking, music, games, and visiting with her many friends & family. She loved to laugh. Doris is survived by her two children - Donna Provost of Staunton, IL, & Thomas (Barb) Nardin of Calgary, Alberta, Canada; five grandchildren - Darryl (Sue) Pena of St. Johns, Indiana, Michael (Tina) Pena of Schererville, Indiana, Kristie Provost (Tim) Gorman of Lake Forest, Illinois, Julia Nardin of Seattle, Washington, & David Nardin of Calgary, Alberta, Canada; nine great grandchildren - Kyle, Paige, Dante, Lucas, Ashtyn, Jeff, Brandon, Jess, & Sarah; & one sister - Adele Mistro of Country Club Hills, Illinois. Numerous nieces & nephews also survive. Besides her husband & parents, she was preceded in death by a sister - Lucille Satriano; a brother - Paul Johnston; & her son-in-law - Edward "Bud" Provost. Friends may call from 10 to 11 AM on Saturday, March 30 at St. Michael's Catholic Church in Staunton. A Memorial Service will follow at 11 AM with Father George Radosevich officiating. Burial will be in Memorial Park Cemetery in Staunton. A memorial fund in her name has been established for St. Jude Children's Hospital (http://giftfunds.stjude.org/dorisnardin).